Welcome Home to Orchard Farms a Premier New Home Community Located in the one of the most desirable places to live in the US! 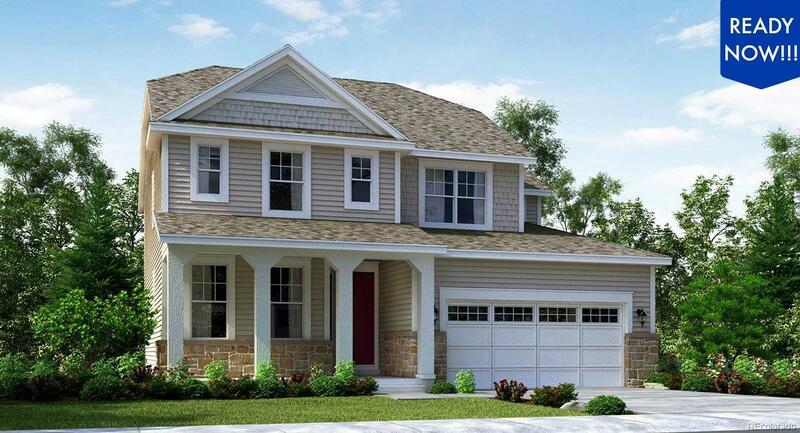 The Ashbrook by Lennar is a beautiful brand new and luxuriously upgraded home. The dramatic coffered foyer welcomes you and leads to an elegant formal study with French doors. The open floorplan has an oversized family room with feature gas fireplace, and stunning eat-in chef's kitchen with slab granite island, upgraded cabinetry, stainless appliances custom backsplash, and real pantry. The main floor has a pocket office and mudroom, functionality is king here. The master bedroom is very luxurious with coffered ceiling and luxury en-suite bath with dual slab granite vanity, Roman soaking tub, tiled shower with seat, and great walk-in closet. Upstairs there are 3 other bedrooms all with private bath access via en-suite or Jack-N-Jill. Enjoy the great outdoors in comfort and leisure with custom model landscaping and an extended covered deck. Come visit today!